The Dam; Idonea Bright Eyes is a Big Nose Kissing Newf. The Sire; Artorius Kota absolutely loves finding people when they are lost. 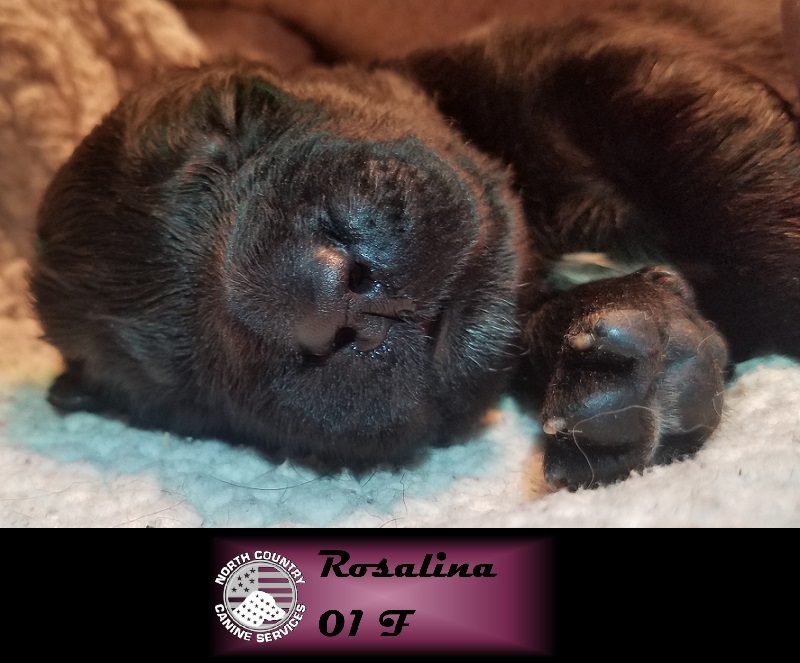 We have a Newfoundland Litter, Born March 04 2019. The Racers have all found their Forever Homes. 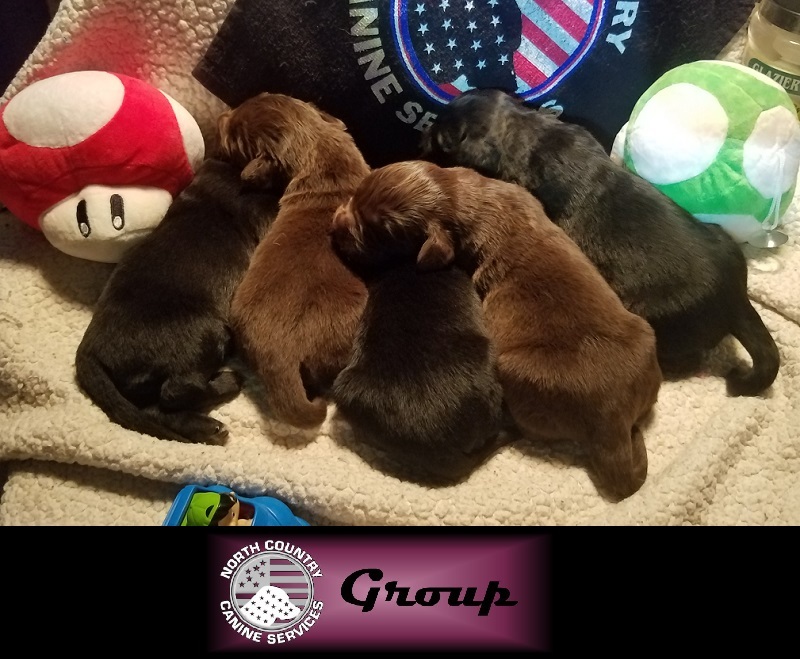 There are 3 Boys and 2 Girls in the Mario Kart Racers Litter. 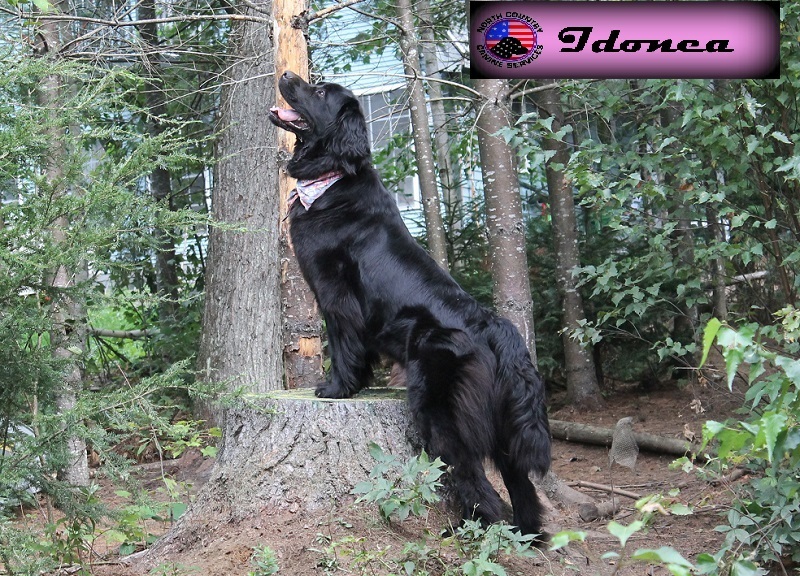 The Dam; Idonea Bright Eyes is a People Loving, Big Nose Kissing, Lovable Newf. She has a long coat of deep Black, with a splash of White on her chest. The Sire; Artorius Kota is a fluff ball of deep Cinnamon fur. He may not look it, but he is an athlete which includes jumping and climbing. He absolutely loves finding people when they are lost. Their Parents/Grand Parents/Great Grand Parents are from our Pedigree with their origins coming from Champion Bloodlines, Service Canine and Working Dog Pedigrees. Everyone here lives on the Martin Homestead with Children, Goats, Llamas, Ducks, Chickens, Geese, Turkeys, Cattle, other Dogs of course and lastly, cats. Our pups as are the Parents are introduced and socialized as soon as their eyes open with a variety of stimuli. The parents are DNA tested for purity, the Parent’s Pedigree. 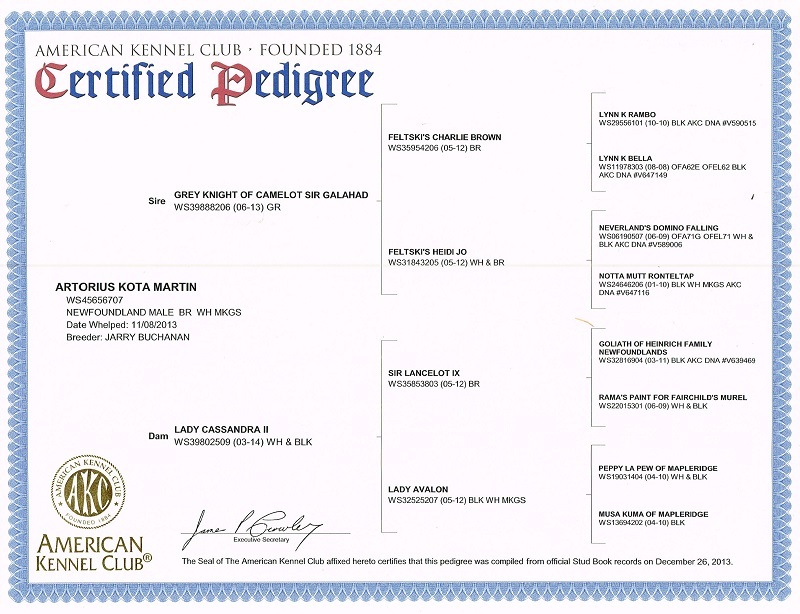 All of our Puppies come with a full Purchasing Contract ~ Full or Limited AKC Registration ~ DNA Certificate ~ Purchase Agreement ~ Pedigree Certificate dating back 9+ generations ~ Communication Follow Up ~ Health Certificate & Guarantee for LIFE ~ Socialization Report ~ Health Record ~ Vaccinations current to pup’s age. Our pups are the perfect example of healthy puppies reflecting the attributes of the Newfoundland. 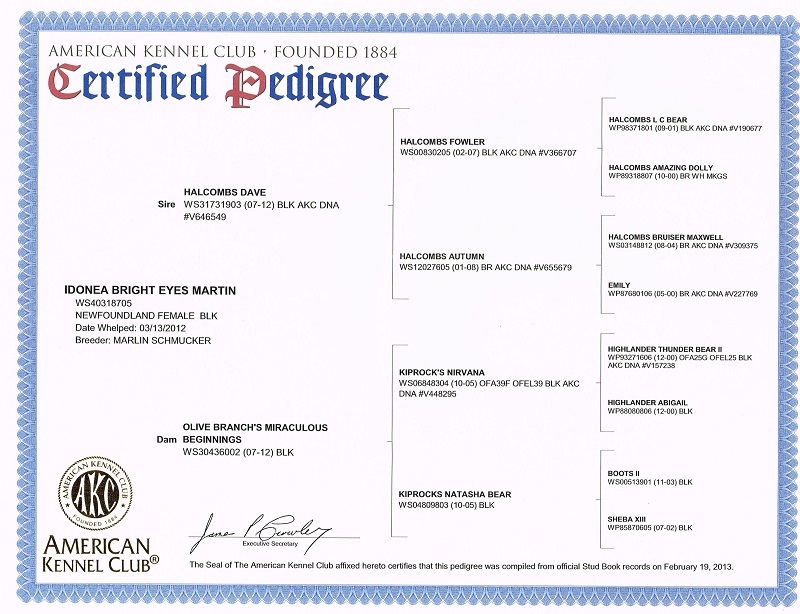 We have been breeding Newfoundlands for about 30 years and Great Pyrenees/Pyrenean Mountain Dogs for about 15 years. We breed our Dames once every 18 months – 2 years and only 3 – 4 times. We are situated in the Northern Kingdom of Vermont. We provide a broad range of Service Applications to those in need. We target breed for a lot of placement applications, from our Newfoundlands working as life savers, to our Pyrenean Mountain Dogs Guarding a herd, flock, Family and property. Our Cane Corso are ready to fill the Application of Personal Protection and Enforcement duties. "A Going Home” date will of course be dependent on the puppies and Mom meeting our criteria. There are three goals that must be met before the puppy can go Home to his/her Forever Home. 1) The pups are eating solid food and drinking water. 2) Mom is starting to chase them away from her food bowl and discouraging suckling. 3) Most importantly; that the puppies are beginning to gravitate toward humans even when near Mom. (We believe Number 3 is vital because of the need to get the puppy to its Family, Home and/or herd during this transition because it is important for Family/herd/flock bonding). We encourage folks that are looking to take one of our pups to visit. We ENCOURAGE it. We love to have folks visit us, the puppies and meeting the Mom and Dad. Of course it gives a great opportunity to meet. We only ask that you give us a few days warning, so we can synchronize our schedules, have a meal, or at least coffee ready and to secure the dogs for that time and date on your arrival. (Often Pyrenean Mountain Dogs get touchy around strangers entering their territory). Although, in the day of the internet and advertising, often we get folks from a considerable distance away, if you are one of these folks, please don't feel obligated to drive a great distance. We can always move forward with you getting one of our puppies by using a phone interview, more pics and vids. As you can tell, we have some colorful names of our previous litters. Our daughters get to name all the newborns. We follow a simple rule, we pick a theme as a Family. Within that theme we draw names for the newborn puppies. This litter's theme is that of the characters within the video game Mario Kart and that of some of the Racers. 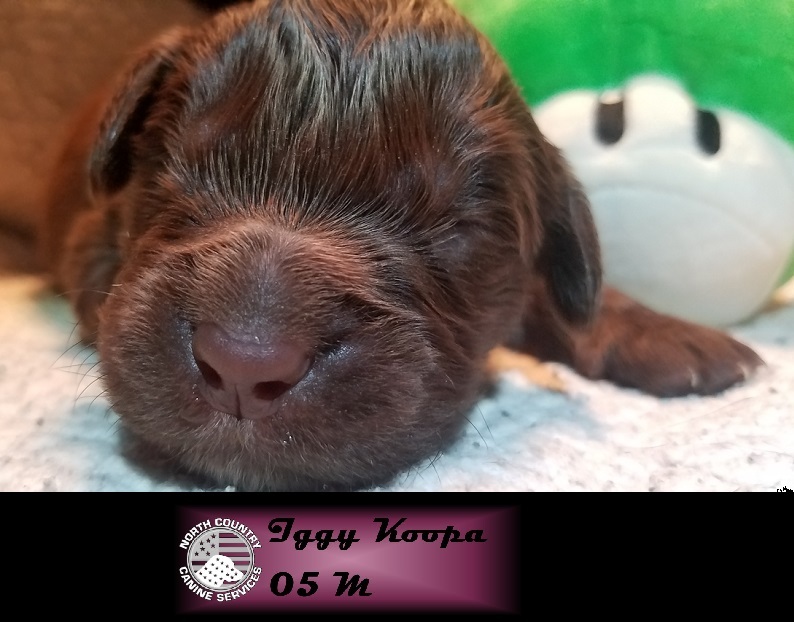 Introducing; Rosalina, Girl; Yoshi, Boy; Bowser, Boy; Daisy, Girl and last but not least, Iggy Koopa, a Boy. We have had several litters named after Marvel Comic and DC Comic characters, countries/states/cities and prior to that was the Bible, and before that was food. We in no way obligate the Forever Homes to keep the filing names. We just use the names for filing purposes. Lastly, we go by a first come, first serve policy when it comes to securing puppies with a deposit or full purchase. We start taking deposits on individual puppies when they reach 10 days of age. Although we will hold a deposit prior to that so that you may go on the 'Pick List' and be one of the few people able to choose prior to anyone else when the ten day age date arrives. Other's will be on the "Pick List" so your choice options will depend on where you are on the "Pick List". 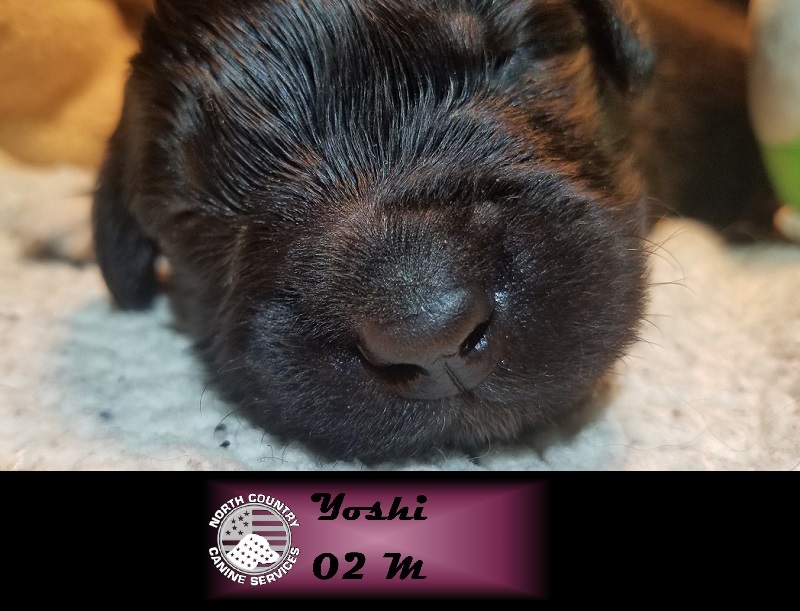 A deposit of $250.00 will hold a puppy of your choosing until he/she is ready to go Home to you, with full payment required upon a predetermined date. 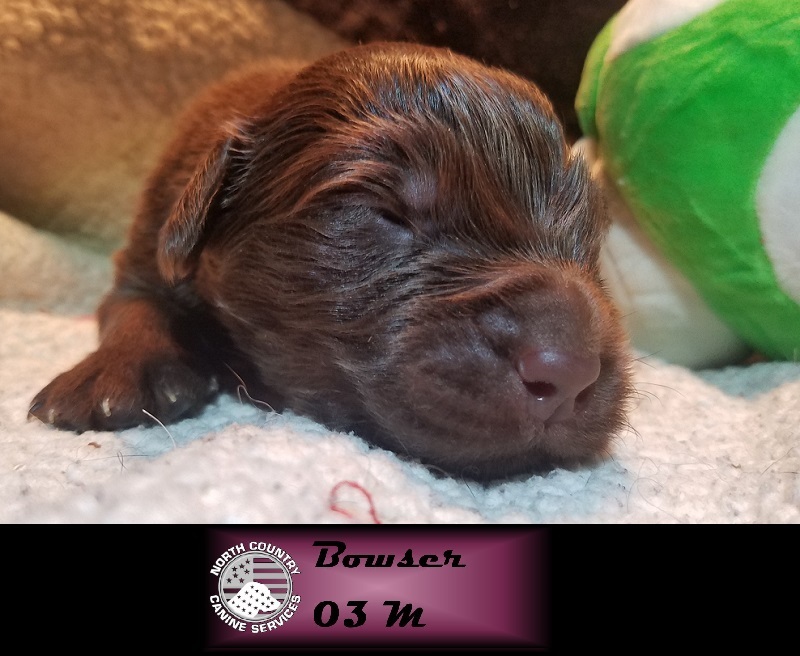 (Usually a few weeks prior to Delivery or Pick Up) There are many factors that determine the final purchase price of one of our puppies. For example: pick of the litter, availability of Males vs Females and Vice Versa, will the dog be a working dog, or a Family Member, The "Pick List", etc… Finding a good Home for all of our puppies is paramount to everything else. 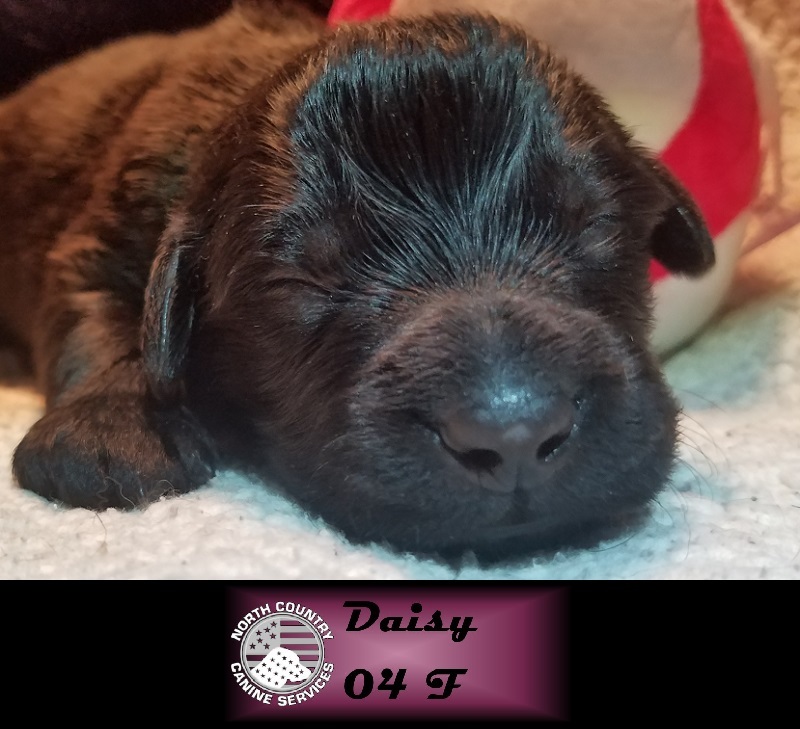 We also ensure that our puppies go to a Home that is prepared financially, are committed and also possess the knowledge of the unique qualities of the Newfoundland. We do ship via delta or United, but, we have driven pups to their Homes more than 10 hours away, or met half way, etc... There are many options to delivery or pickup. 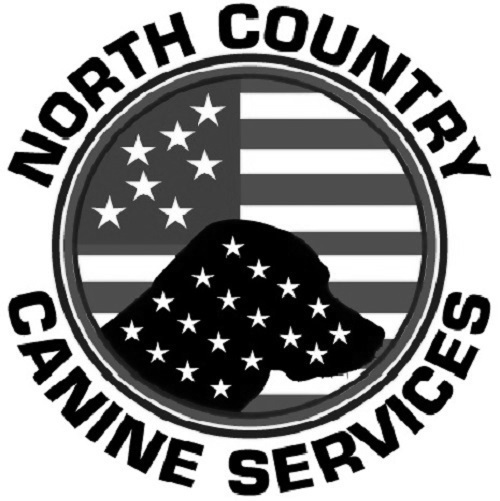 Nothing is confirmed and/or final concerning the purchase of one of these puppies until the Purchase Contract is signed by Client and us, here at NCCS. We can deny any person for any reason receipt of one of these puppies at any time. The deposit to hold one of the puppies is non-refundable unless the puppy in question is no longer available due to the fault of NCCS. To continue any further we need to discuss details and options via telephone or meet in person. You can contact us by any manner listed on our contact page or just find a link in on our webpage to send us an email. If for some reason we do not answer the phone, please leave a message so we may return your call. You may also email us your phone number, include a date/time that is good for us to reach you. We then can discuss Travel Expenses and ultimately the Purchase Price for one of our puppies. On average these pups are going to $2,000. We urge you to peruse our website, Facebook page and our Flickr album, write your questions down and be prepared to answer questions.